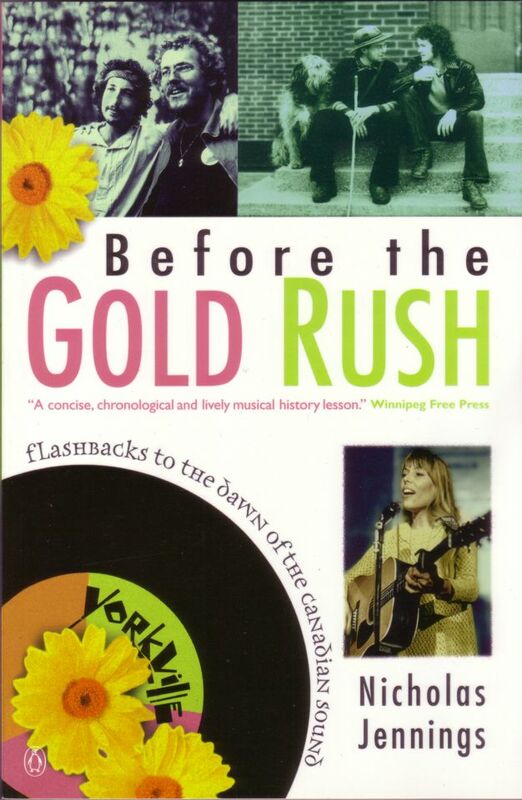 Book: Before the Gold Rush - Flashbacks to the Dawn of the Canadian Sound - Gordon Lightfoot Book, Music and More! This is an entertaining, authoritative, and highly anecdotal look at the golden era of Canadian pop music-the historically important decade that gave birth to such internationally respected recording artists as Neil Young, Joni Mitchell, Ian & Sylvia Tyson, Gordon Lightfoot, Murray McLauchlan, Bruce Cockburn, Buffy Saint Marie, Blood, Sweat & Tears, and Ronnie Hawkins. In the bohemian sixties, Toronto's Yorkville neighbourhood was a hippie haven-our version of Haight-Ashbury or Greenwich Village, a place where coffeehouses like the Riverboat and the Purple Onion offered a creative mecca for musicians from across Canada. They came from Saskatoon and Winnipeg, from Vancouver and Edmonton and Halifax. By the middle of the sixties, they had forged an adventurous, original sound that the American music press proclaimed "a fresh wind from the north." It was Canadian music's first wave of international success. In researching the book, Jennings conducted more than 100 interviews with musicians, managers, club owners, booking agents, and record company executives including Gordon Lightfoot, Murray McLauchlan, Bruce Cockburn, among many others. Many of those he's interviewed have provided the author with period photographs and other memorabilia for reproduction in this book. 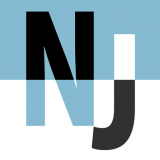 "Beginning with Ian & Sylvia, the narrative runs like a train, picking up passengers one by one, tracking their interrelationships, creating an underlying sense of accumulation and momentum." 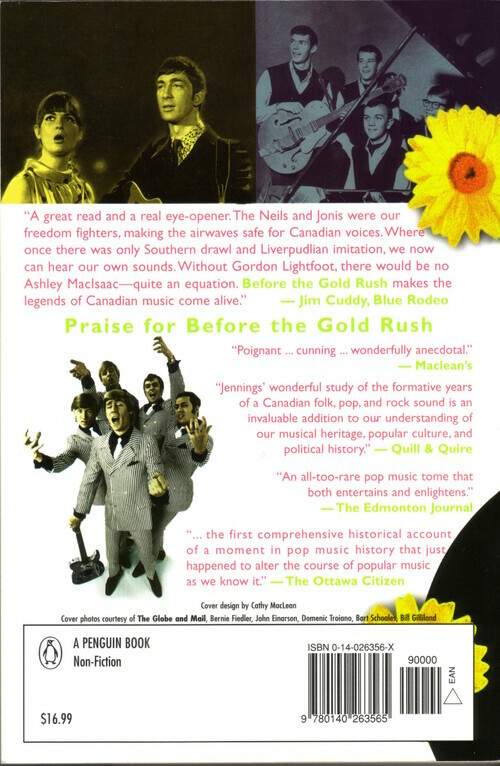 "Jennings' wonderful study of the formative years of a Canadian folk, pop, and rock sound is an invaluable addition to our understanding of our musical heritage, popular culture, and political history." Nicholas Jennings is the first author to write an entire book devoted to the Toronto music scene of the 1960's. He follows the making of the Toronto Sound, starting with the folk movement, through rhythm and blues, touches on garage bands and the jazz/country/rock/soul sounds which defined Yorkville music in the late 60's. The volumes of information imparted are astounding, and the story is very interesting, especially for those with an interest in the Sunset Strip, Bay area, Soho and Greenwhich village happenings. Jennings keeps the book flowing by using a time-line style, and manages to throw some of the more obscure names in the Toronto scene around. I highly recommend this book to anyone with a fascination for the music of the 60's, and I urge Jennings to keep on writing his fantastic books!